In this session, we will see how the promotion of female leadership and gender equality can benefit both economies and societies, as well as women’s economic situation. The #metoo movement has uncovered the potential of female leadership and gender equality in western societies. But gender equality is and has been an important driver for economic growth in many societies already. The push for female empowerment and leadership over the last decades, has created a big change in many economies, resulting in an increase of women’s participation in relevant economic leadership roles. However, there is still room for improvement in this area. In this session, we will see how the promotion of female leadership and gender equality can benefit both economies and societies, as well as women’s economic situation. 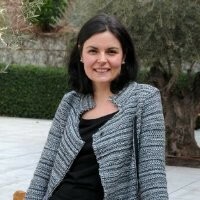 Patricia Gabaldon is currently assistant professor of economic environment at IE Business School and IS School of Global and Public Affairs where she teaches applied economics and country economic analysis. She obtained a PhD in economics from University of Alcala, Spain and she was visiting fellow at Harvard University. Professor Gabaldon’s research combines sociology and economics to understand gender issues and to help different company’s stakeholders to improve their decision-making. Among other topics, she investigates the role of media on appointing female directors, or the role in economic development of female entrepreneurs. She also studies the impact of economic business cycles on gender quotas on boards and on top management positions and its effects on the economy and society. Specialist in female leaders, women on boards and the role of women in development. Researcher offemale patterns of consumption and gender differences in the uses of time based on Household budgetssurveys and Time uses surveys.